At HillyStudios, we mix and master 'In the Box'. We are not bothered by having lots of nice looking gear, although we do like cool looking hardware, its just not needed anymore. Beyond a good listening environment, great monitors/headphones, and a great power amp, quality software and plugins and the ability to use them well is all that is needed create great sounding results, and today (as its ever been really) for mixing and mastering what counts most is a great pair of ears and the ability to focus on the details of sound, to harmonise these details into a whole, to bring out the very best in the music. Myself and Donald have a vast amount of experience between us, and can help you to make your project something truly special, we will add magic to your stems/ or mixes to mix and/or master your music so your creativity really sings out from the speakers. A: I am proud of all the projects I have done, because I have always done my best.... but the best and proudest I am is always of the work that is to come. A: A new Amp Album and solo work. A: These days, digital, its loads more flexible, and I can't tell the difference anymore. and everything ends up digitized so it makes common sense, unless you have shed loads of money, valve mics and valve desks, and master to tape and only make vinyl...go to toe rag studios. A: A portable recording device, a guitar, a mic, compass, and boat to get off the island. A: Brian Eno comes to mind, a true original. A: Let the music breathe, if you listen carefully, it will tell you how it wants to sound. A: I don't do typical, every song/tune is different, like every day. 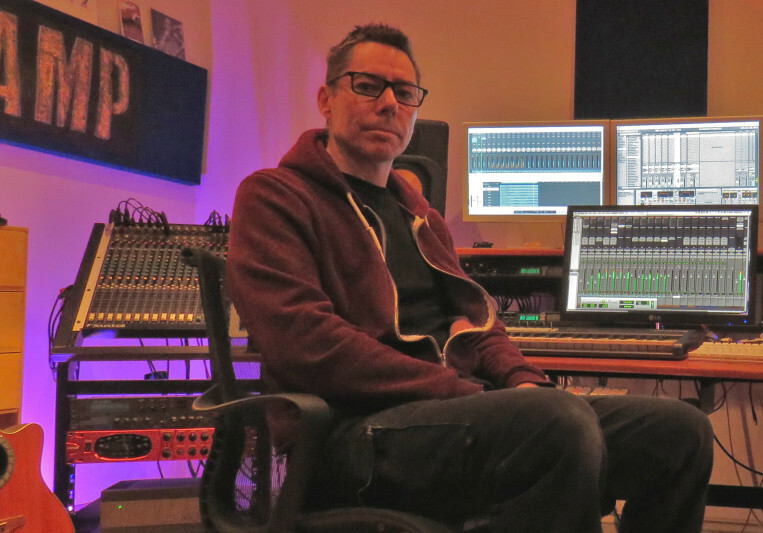 A: The studio is digital with analogue and digital outboard, with a monitoring stage running through a customized Quad amp into classic KRK monitors, I have secondary monitoring through a Cambridge Audio amp and Celestion speakers. A: Anyone great, I am always open to inspiration, I have worked with Paul Corkett in the past and he is a magician. A: I bring out the best that the material has to offer, make the music sound alive and spatial, or powerful, evocative, or dreamy, whatever the music calls for. I listen and let the music speak. I help to make it speak clearer. Typically I will do 3 revisions, but I am flexible, I realize as an artist myself how important it is to get a mix right. Turn around time is dependent on the job, 2 days minimum.